Very insightful and informative. I am far more aware of myself and accepting of others realising that our decisions are based on perception only. We all come from different background with different values – it doesn’t make things wrong or right. After having 10 years of psychology [treatment], Jamie’s session made more of a difference and helped me to see things in a more positive light. Jamie has taught me life skills…she taught me to face my fears…the most daunting one was to face the fear of the unknown and of preconceived notions. She has taught me patience and to be strong..she has a genuine desire to help people. Hi Jamie, I just wanted to say that your life methodology has helped me turn my life around. I am looking after my health, thinking more positive and have found a lovely lady who enriches my life every day. The ninja is my guardian angel and I thank her so much for that. The world needs more Jamie’s in them. Before I was aware of your work, I was a hermit and a recluse. I did not want to interact with people because I always saw the bad things in them. I didn’t want to have a relationship because I was too scared of being hurt or actually caring for someone more than myself. Sad, lonely and routine was my life. And it was killing me as my health was deteriorating. Then the Happiness Ninja struck and I started following her posts on Facebook. Her random acts of kindness inspired me and showed me that there is good in everyone and that the world is an amazing place. Her contagious enthusiasm and zest for life are inspiring and empowering. My life is now changing – for the better. My health is improving, I am losing weight, I interact with people more, I laugh frequently now (always a good thing) and I have met the most wonderful lady who has enriched my life so much. Thankyou Jamie – never stop being the Happiness Ninja as she is needed. It is really amazing to teach me how I can retrain my brain – I never knew I could do that. I am really confident that I can grow into another person and be reborn. Thank you! Jamie is one of our more popular columnists inside the Oddities e-Club Magazine, and for a good reason – she’s EPIC at communication and getting people to feel better! You’ve helped two ladies very precious to me to rebuild their lives after genuinely striving to do so for many years. They worked hard at it and were true seekers for what would help them but what you do has made more difference to both of them than any other thing. Before I started this I was suicidal. This program has opened up my mind and makes me think healthier. It has made me think about the positives instead of the negatives and makes me feel better about myself. My soul feels happier. I attended the Mindset Mastery with The Happiness Ninja & I think we all have a lot we can learn from her from her learned experiences and her learned knowledge…I’ve learnt some great techniques. A great deal about gratitude which was very enlightening…I really think you should come to a session with Jamie. These helpful techniques will help you through your life to be the change you want to see. While I may not be in control of actual events that happen in life I now realise that I am in greater control of the way I feel about them, and the way they can effect my day to day happiness. 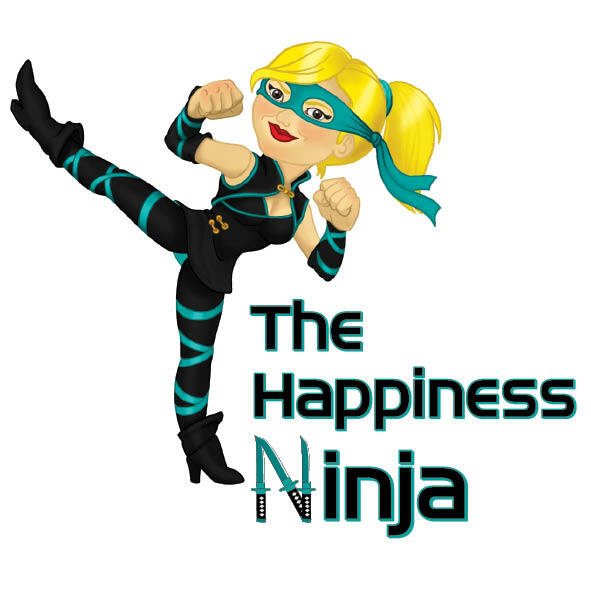 I have had the pleasure of attending multiple events where I have enjoyed listening to Jamie The Happiness Ninja speak – sharing her inspiring story and knowledge. Through her random acts of kindness program, Jamie has also helped to promote my own business and product in a positive and professional manner. To this end, I highly recommend Jamie and her services. I found Jamie to be extremely open and honest, very transparent and fun to communicate with. I advice everyone to come and share Jamie’s information and learn from it. What I’ve learned is that through Positive Psychology I can overcome what I am experiencing…You’ve been a huge help & helped me so much to understand myself and I appreciate everything you’ve done.